Please complete and submit the form below. On completion you will be redirected to the payment page where you can do a secure online payment via Credit & Cheque card, Instant EFT & Masterpass. 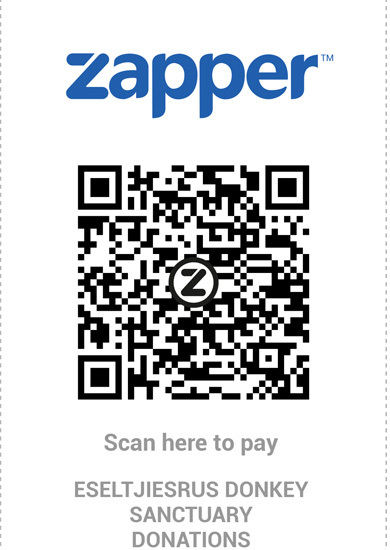 You can also select to pay with Zapper & SnapScan. Please select the same amount as what you have indicated in the form below. Should you want to rather pay via EFT, cash or Cheque, you can just close the online payment page. 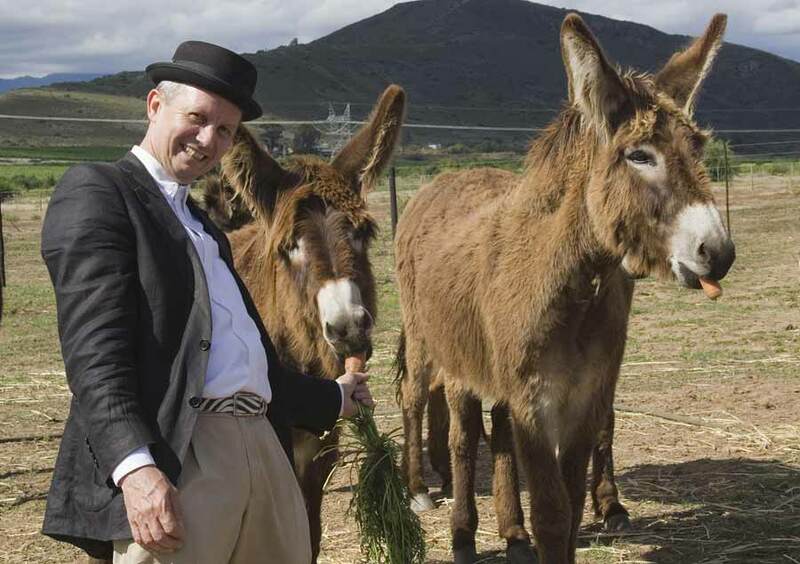 And you are most welcome to come and visit your special donkey! Any other amount you wish to donate - we value any level of support! 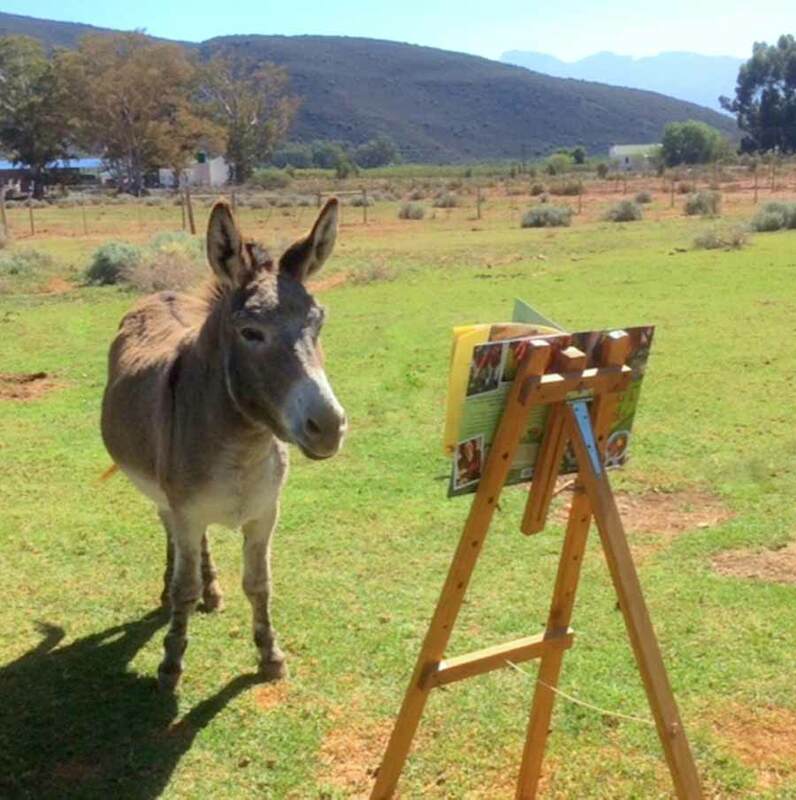 You can choose your donkey by clicking here. There is an online adoption form that can be filled in and submitted to us. You can also download a printable version of the form by clicking here. 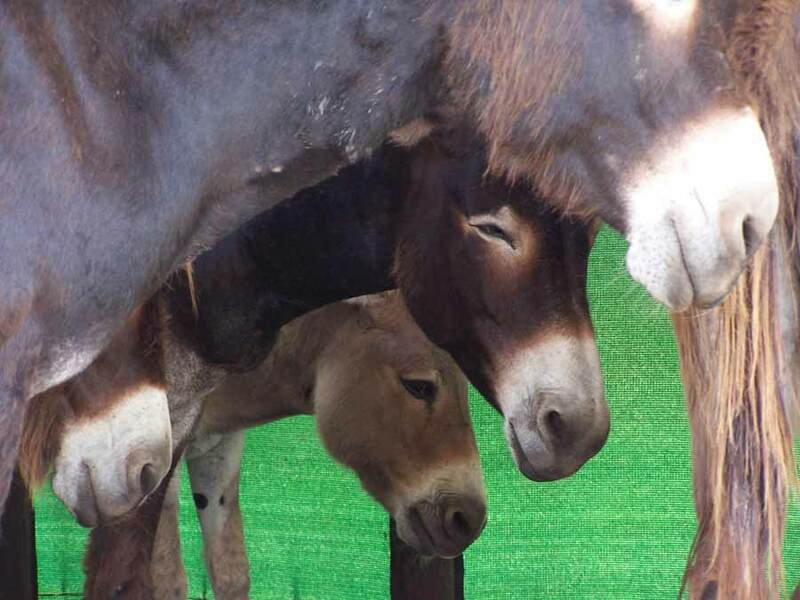 Do you know what the costs of feeding and caring for a donkey for one year are? This gives a total of R3,600 per annum and costs keep going up each year. 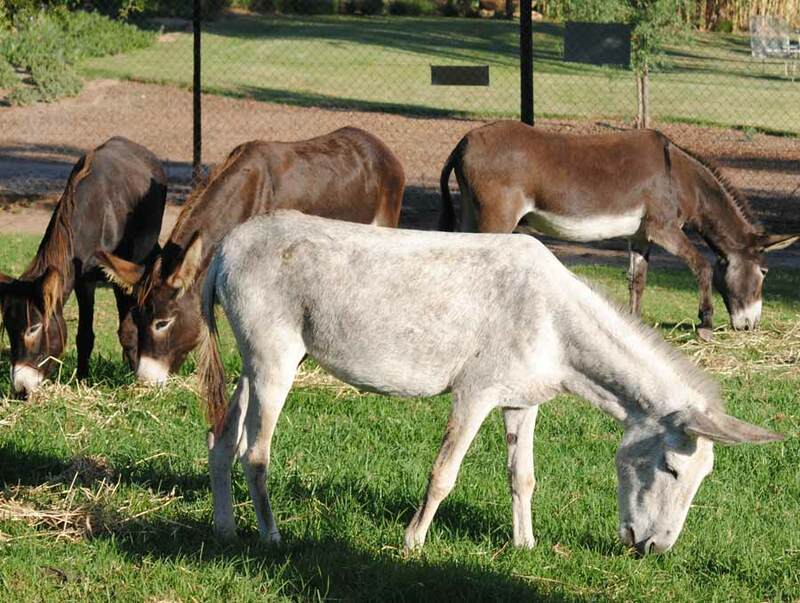 Some severely neglected donkeys and our elderly donkeys require additional feeding and care over and above this. 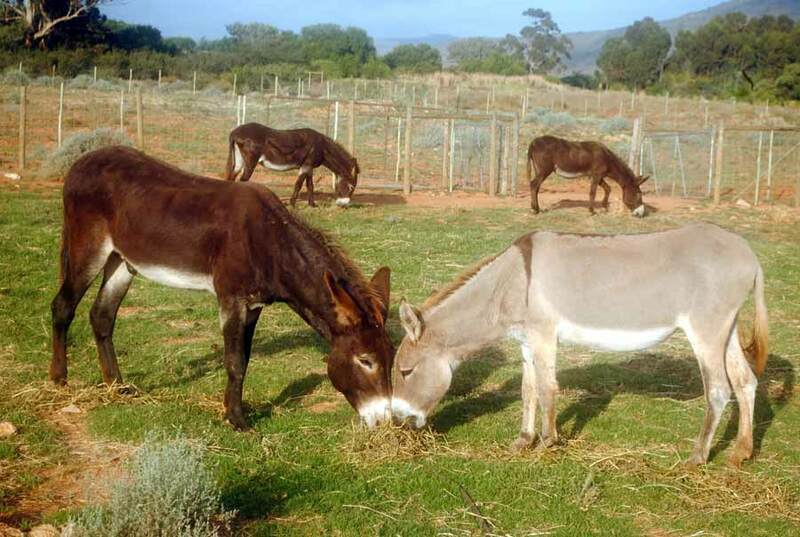 In addition there is the care of the paddocks, irrigation, electricity, etc. 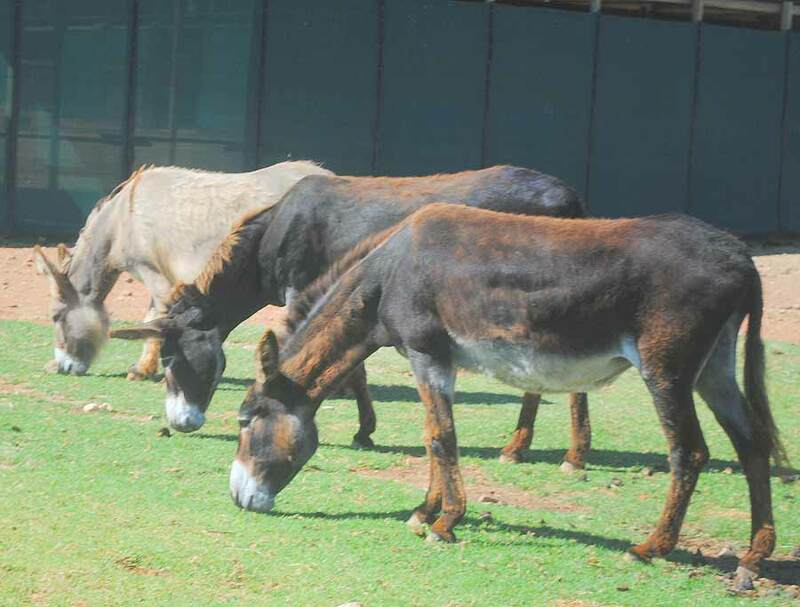 The Sanctuary also often has to pay the Vet and Farrier bills for donkeys that we reach through our outreach and rehabilitation work elsewhere. 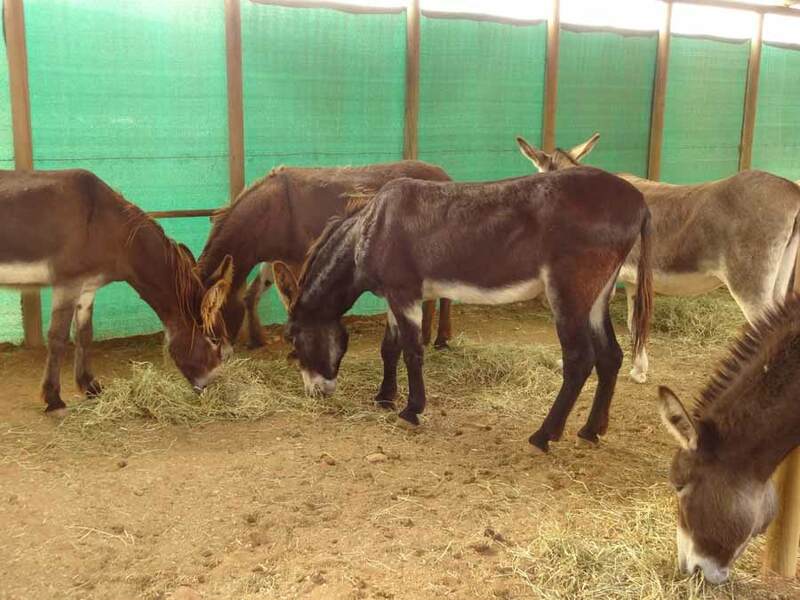 Please rest assured that any donation you give no matter how small will help to give more donkeys a safe, happy and healthy future. A regular gift such as a monthly stop order (EFT) allows us to plan for the future. 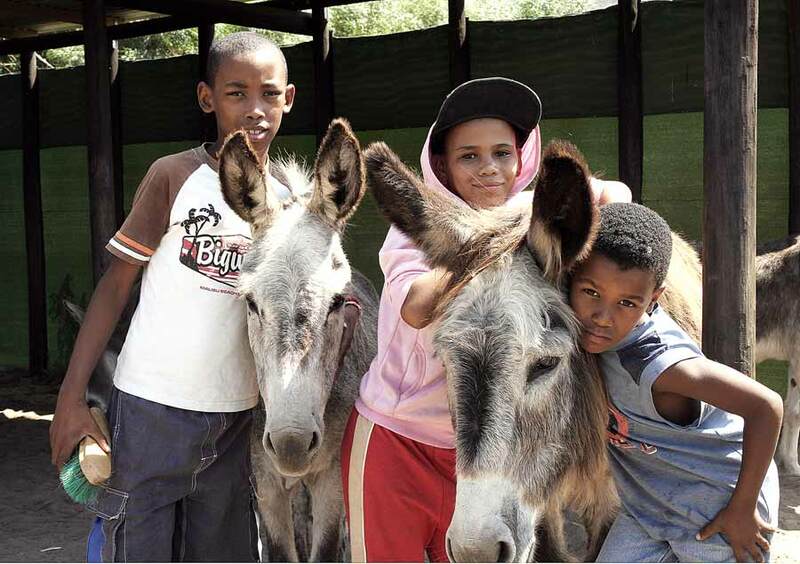 Regular gifts can also help to purchase the on-going essentials in life - feed, ointments and medicines for donkeys. 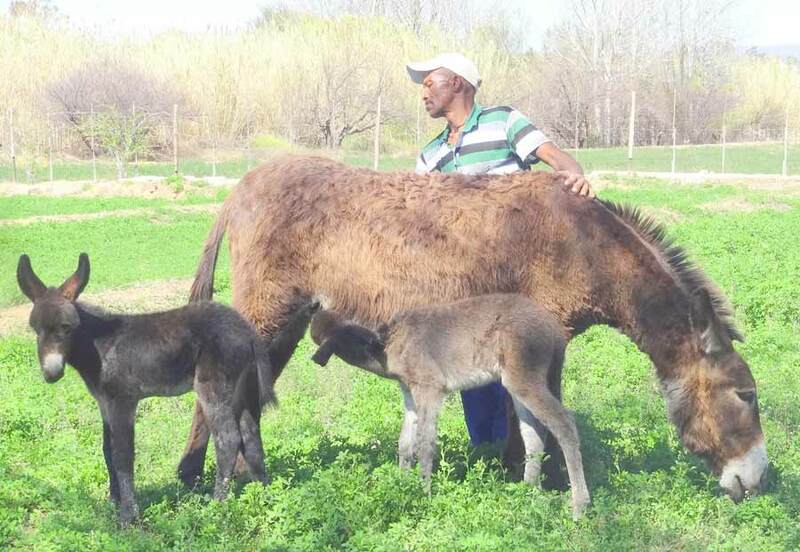 Our Bank details are: “Eseltjiesrus Donkey Sanctuary”, Standard Bank, Robertson, Branch code: 050413, Savings Account Number: 288244419. Please note that whilst you can deposit cheques into our bank account, the bank currently charges us R42.37 per cheque deposited and R9.89 for cash deposits. No charge is made to our account for EFTs. Or specify your own amount below and select "Proceed"
To provide a sustainable secure future, we rely on bequests. Even if you are unable to support our work at the moment, please consider us in your Will. We are a registered NPO and PBO with tax and estate duty benefits attached to donations. See our Leave a lasting gift brochure to help you with this as well as a sample codicil that can be used with your current will! Do YOU have a MySchool/MyVillage/MyPlanet card? 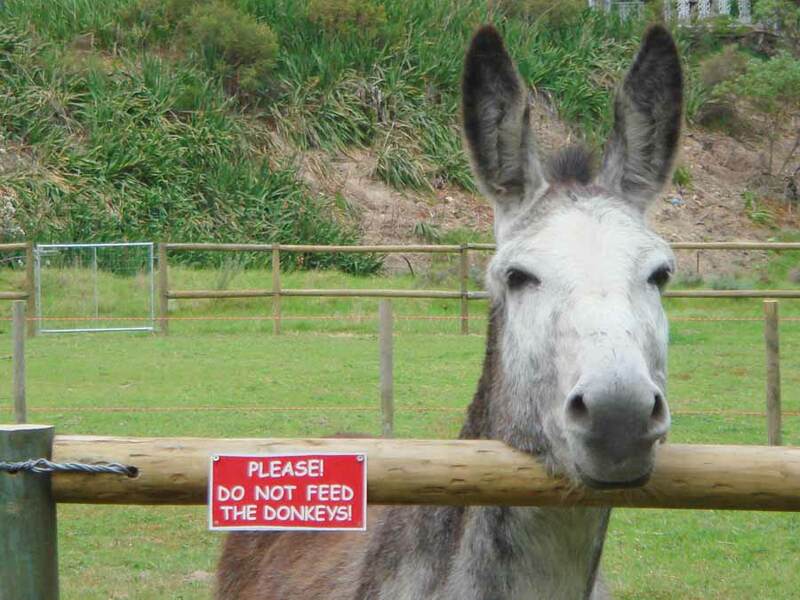 attached, and a valuable source of income to the donkeys. In order to become a supporter, you need to be registered with MySchool. 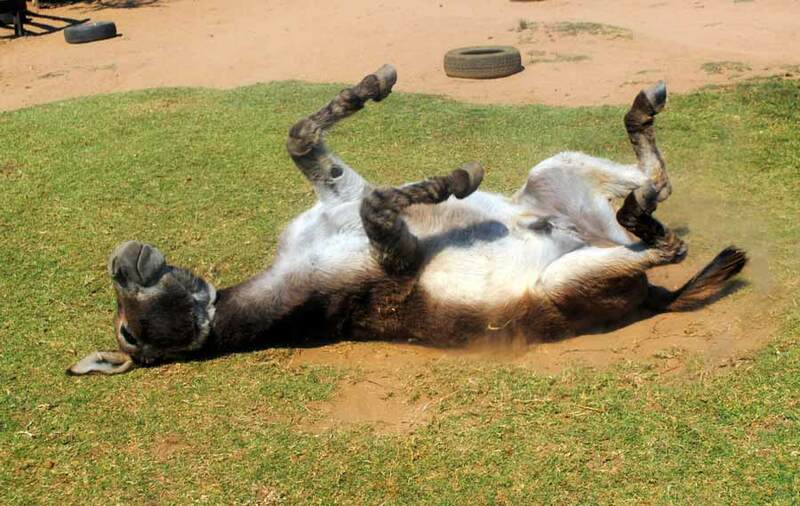 Then select Eseltjiesrus Donkey Sanctuary as your charity to support. (Monday to Friday, between 08:00 and 17:00). You can also register at the Sanctuary (Thursdays to Sundays 10am to 4pm) and we will issue you with a card at the Shop in the Visitors’ Centre. 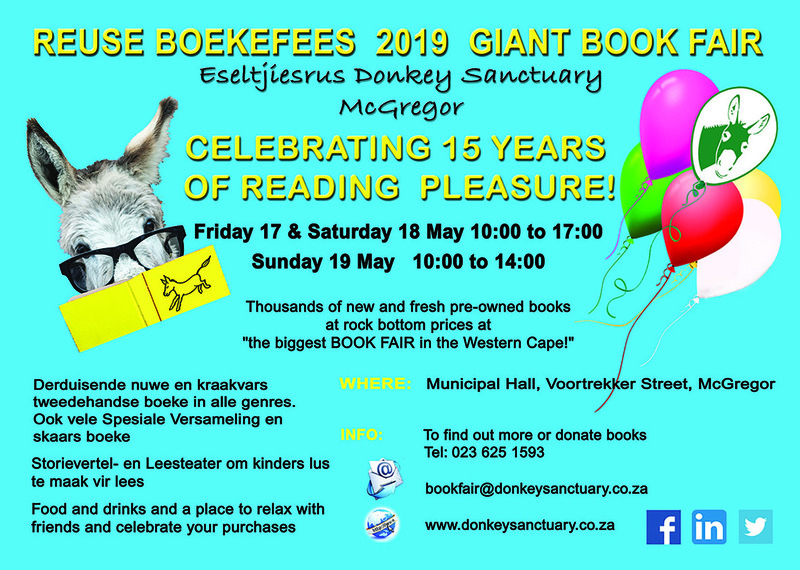 Each year at the end of May we hold a 3-day Book Fair in McGregor to raise funds for our work as a Donkey Sanctuary. Our next Book Fair will be held from Friday 17th May to Sunday 19th May 2019. See advert above for details. Visit our shop in the Visitors’ Centre. 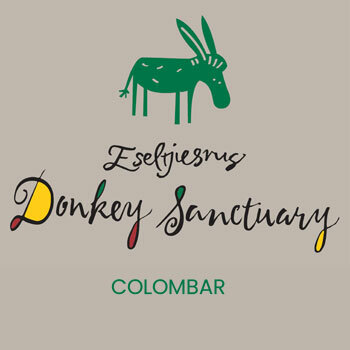 Here you will find all sorts of donkey related items from cuddly woollen donkeys to keyrings, fridge magnets, coffee mugs, wine, cards and lots more. A new item on our shelves are the two Saggy Stone Craft Beers (California Steam Ale and Desert Lager) - these beers are also available in the restaurant as well as for purchasing in the shop to take home. The Shop is open Thursdays to Fridays from 10am to 4pm. We accept credit and debit cards as well as Snapscan and Zapper. Yes, you can enjoy Eseltjiesrus wines at home! We now have 3 wines available and each sale contributes directly to the care and welfare of our donkeys. 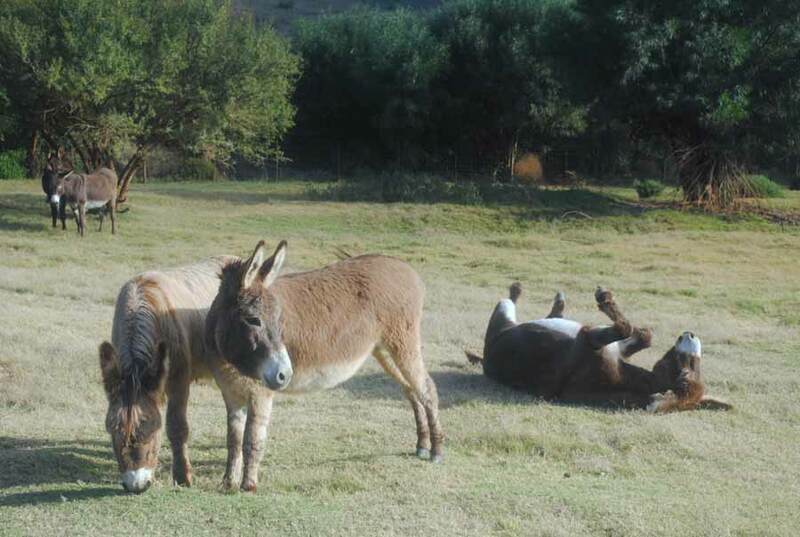 So the more you order the more you are donating to the Sanctuary. Simply complete and submit the Wine order form (link below). Our new wines have arrived! This is an ideal way to spoil yourself or as a gift. You can collect your wine at the Sanctuary or we can arrange a courier (for your account). A full-bodied blended wine with flavours of ripe plums and red berries. Maturation in French Oak. An elegant, fruity wine packed with tropical and passion fruit flavours, a touch of green fig and a pleasant lingering finish. An exceptionally fruity white wine to complement chicken or fish. Our wines are also available for direct purchase at Rooiberg Winery. payment and/or delivery. Dankie vir u ondersteuning! Thank you for ordering our wines. On completion you will be redirected to the payment page where you can do a secure online payment via Credit & Cheque card, Instant EFT & Masterpass. 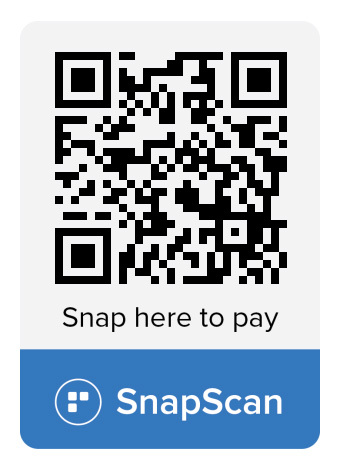 You can also select to pay with Zapper & SnapScan. Please pay the same amount as what is indicated in your order. Should you want to rather pay via EFT, cash or Cheque, you can just close the online payment page.